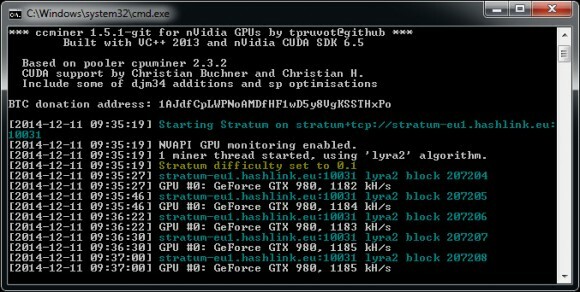 We have compiled a new windows binary from the latest ccMiner 1.5.1-git by tpruvot (source) that comes with support for the Lyra2RE algorithm – the algorithm that VertCoin (VTC) is going to be forking to. There is an official ccMiner fork with support for Lyra2RE available, but it seems that tpruvot’s fork is slightly better in terms of performance. 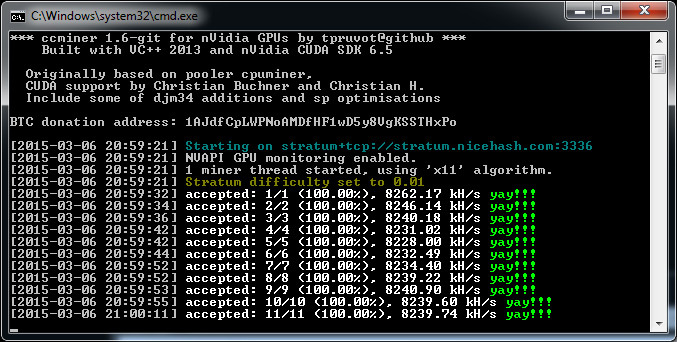 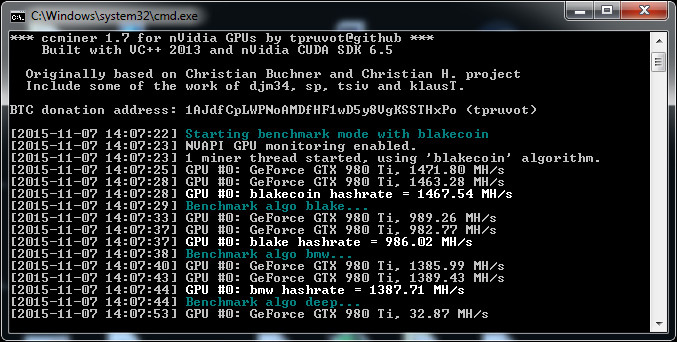 We are getting about 1180 KHS with a GTX 980 GPU running at stock frequencies and around 1140 KHS with the official Lyra2RE ccMiner on the same hardware. Do note that this is not an official 1.5.1 release from tpruvot, we have just compiled a binary form the latest source in order to be able to test Lyra2RE mining performance on the available test pool. Our windows binary is compiled with VS2013 and supports Compute 3.0, 3.5, 5.0 and 5.2 GPUs, you can download and try it below, there is an example BAT file setup for testing hashrate at the Hashlink’s test VTC pool with Lyra2RE support.